BALTIMORE, MD ( May 2, 2011) – Attorney General Douglas F. Gansler today announced that he has sent a letter to Chesapeake Energy Corporation and its affiliates, notifying the companies of the State of Maryland’s intent to sue for violating the federal Resource Conservation and Recovery Act (RCRA) and the Clean Water Act (CWA). 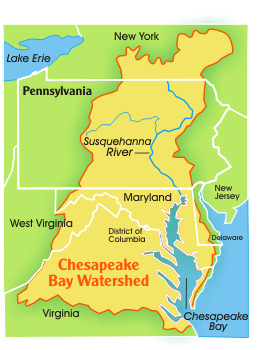 On April 19, thousands of gallons of fracking fluids were released from a well owned and operated by Chesapeake Energy into Towanda Creek, a tributary of the Susquehanna River, which supplies 45% of the fresh water in the Chesapeake Bay. 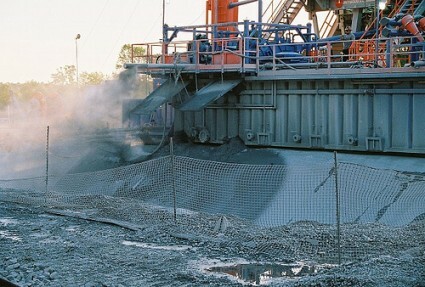 In his letter, Attorney General Gansler notified the company that at the close of the required 90-day notice period, the State intends to file a citizen suit and seek injunctive relief and civil penalties under RCRA for solid or hazardous waste contamination of soils and ground waters, and the surface waters and sediments of Towanda Creek and the Susquehanna River. The State also intends to seek injunctive relief and civil penalties under the CWA for violation of the CWA’s prohibition on unpermitted pollution to waters of the United States. Chesapeake Energy owns and operates numerous natural gas wells in the Marcellus Shale, including the Atgas 2H well in Leroy Township in Bradford County, Pennsylvania. At approximately 11:45 p.m. on April 19, 2011, essential components of the Atgas 2H well failed, causing tens of thousands of gallons of fracking fluids to be released. These fluids escaped Chesapeake Energy’s inadequate containment, crossed over neighboring farm fields, and entered into Towanda Creek, a tributary of the Susquehanna River, which flows into Maryland. The Susquehanna River supplies drinking water for approximately 6.2 million people and sensitive fish populations like the American shad and striped bass are moving into the Susquehanna flats at this time of year. Exposure to toxic and carcinogenic chemicals in unknown quantities creates a risk of imminent and substantial endangerment to humans using Pennsylvania and Maryland waterways for recreation and to the environment. Although the precise mixture of these fracking fluids is not known, a recent Congressional study found that they contain 750 chemicals and other components, including several extremely toxic compounds. High levels of these contaminants remain in the fracking fluid that returns to the surface as wastewater after a well has been hydrofracked. This wastewater, referred to as “flowback water,” is then contained at the well site, either to be recycled or hauled away for disposal. 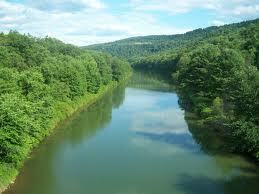 Flowback water also contains high levels of radioactive materials. The New York Times has reported that both industry and EPA confidential studies indicate that these materials “cannot be fully diluted in rivers and other waterways.” Radioactivity levels in Pennsylvania fracking wastewater have sometimes been thousands of times above the maximum allowed by the federal standard for drinking water.